Let Our Experts Make Sure Your Garage Door Stays Fully Operational! One of the most common causes of garage door breakdowns is a lack of thorough and regular maintenance. Without care and attention, various components will eventually begin to wear out. When this happens, parts can begin to fail, resulting in costly and difficult repairs for the homeowner. We thoroughly recommend arranging for regular service inspections of your door so that you can guarantee it’s kept in top working order. Over time, garage doors will need to be serviced. A busy family can quite easily use their door a thousand times per year, and this constant use inevitably leads to wear and tear of the door’s moving parts. It’s essential that homeowners use a professional maintenance company to inspect their door, service it, and protect against potential problems from developing. Few homeowners pay much attention to their door as long as it continues to work as expected. However, once a door is damaged to the point where it is no longer working, it’s usually quite expensive and difficult to fix. It’s much cheaper and easier in the long run to catch problems before they develop, which is why we strongly recommend scheduling regular service appointments. In fact, many manufacturers make annual servicing a stipulation of their warranties, and many of our customers arrange yearly checkups as a result. When our technicians carry out a maintenance inspection, their first step will be to assess the condition of the garage door and associated machinery. This enables them to gauge what work needs to be carried out, and ensure that each door component receives the attention it needs. If any parts are suffering significantly from wear and tear our technicians will highlight them, lubricate, adjust or advise whether replacement is necessary. We offer a wide range of garage door maintenance services, and our expert technicians will provide a service you can rely on. 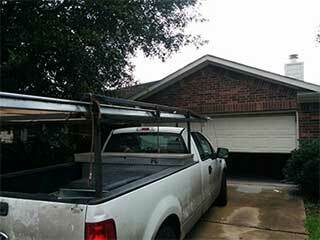 Contact Garage Door Repair Arlington today to schedule your maintenance appointment – we'll be glad to talk to you!